Halloween has always been a time of high creativity for me, it’s just buzzing in the air. This week, check out some of the Halloween-inspired events by dressing up, because costumes make everything more fun. But if that’s just not your thing, there is plenty for you to do without playing dress-up. 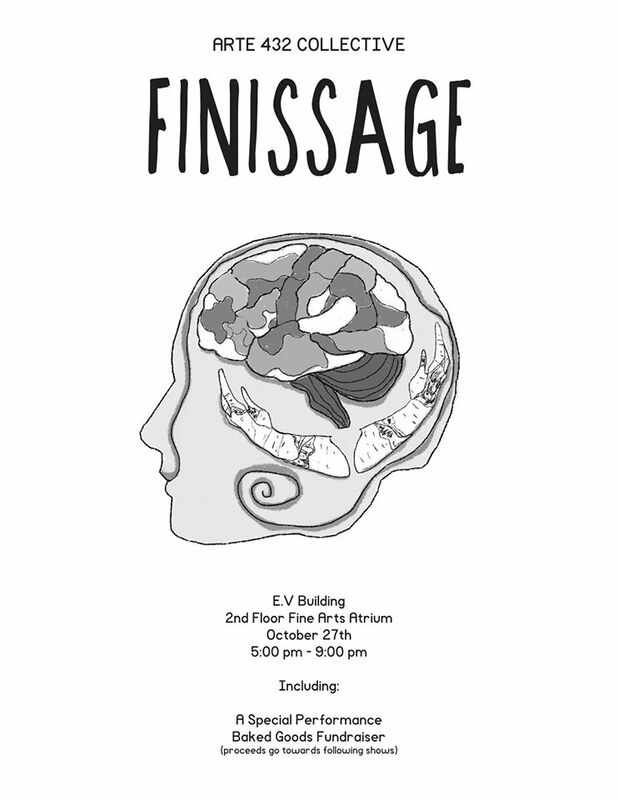 The ARTE 432 Collective invites you to their finissage today at 5. There will also be a special performance and a baked goods fundraiser to raise money for future exhibits. 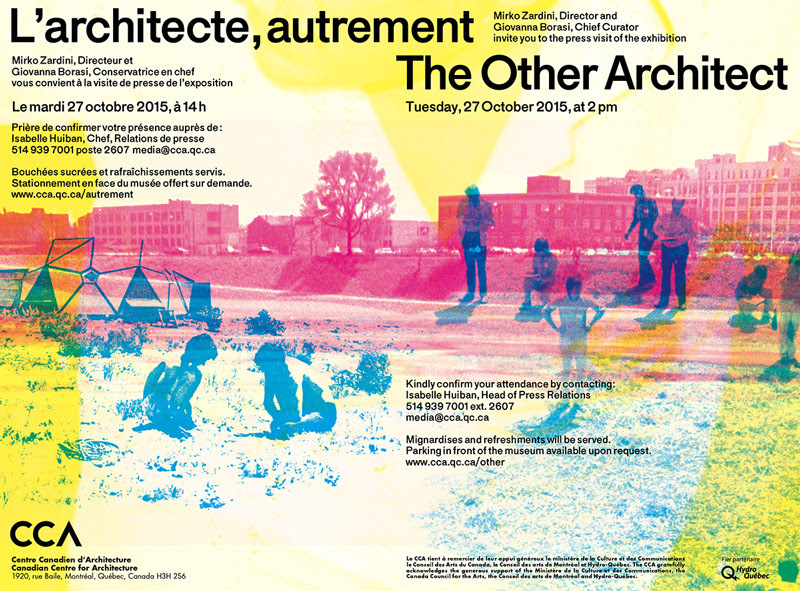 The CCA’s The Other Architect questions the way we imagine architects. Rather than seeing it as a public service, or a building industry, the CCA presents us with the researcher, the creator, the intellectual… the other architect. Also available as a book. 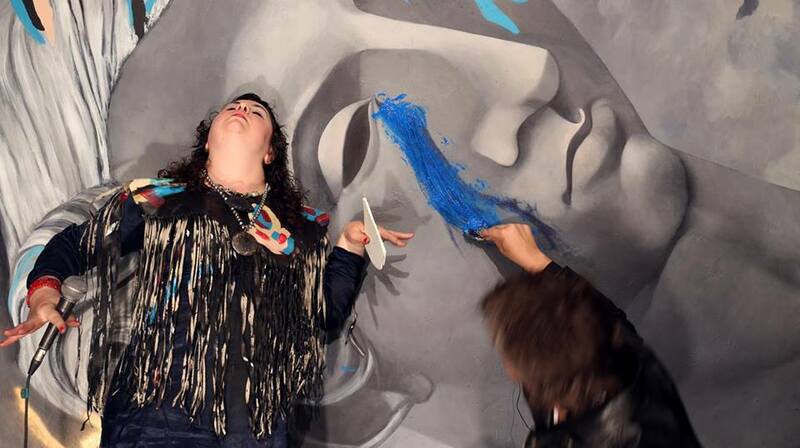 An event about sharing, accessibility and community in art. Watch the games unfold: 6 teams of artists will have 2 hours to complete themed murals on the spot. The themes will be given the night of the show. You can also vote for your favourite mural throughout the evening by placing your empty beer cans in the team’s container. $5 to enter. 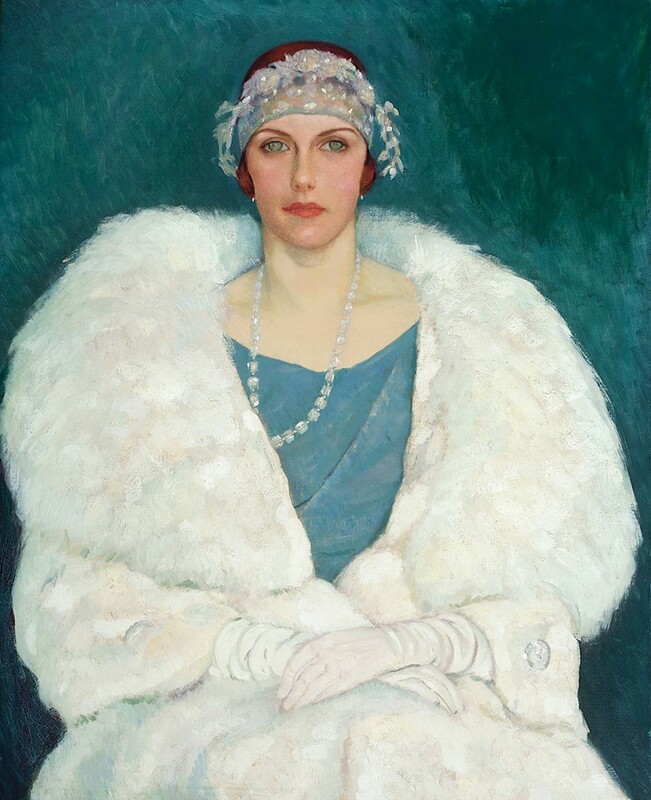 Randolph S. Hewton (1888-1960), “Mlle Mary Macintosh, ” 1924 ou avant. With Halloween right around the corner, why not get in the spirit by dressing up, roaring twenties style, and head to the MMFA. Their new exhibit, Colours of Jazz is half-price this Wednesday, as of 5 p.m. Jazz trio and $6 drinks will be on hand. BUT, dress up and you’ll get a 2 for 1 deal on a drink. Get those flapper dresses and waistcoats out! I don’t think I can say it any better than the event description: “seven artists flagellate the unconscious in search of deep enjoyment.” This group show is up until November 1, but check out the vernissage this Thursday to see work by Elysanne Tremblay, Elise Provencher, Alexis Lavoie, Isa Lausas, Chloë Cheuk, Matthew Ng and Tyson John Atking. Still don’t have plans for Halloween? Too old for trick-or-treating? Geneviève and Matthieu will be performing in their unique, interdisciplinary way. “Space, residence, destruction, reconstruction, performance, art is easy.” Don’t forget to dress up if you feel like it. Cassandra is the brains and heart behind The Artistorian.